← The Rockies Have a Doubleheader Today – Good Luck With That. 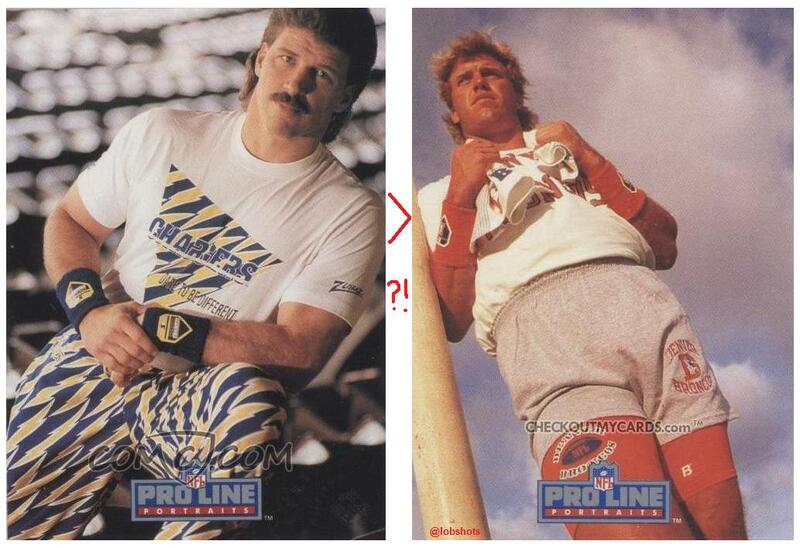 Chargers Chose Billy Ray Smith Over John Elway? WHAT!? The Chargers, whose owner, Gene Klein, was in a contract dispute with star quarterback Dan Fouts, offered the No. 20 and 22 picks from the 1983 draft, their No. 1 pick in 1984 and quarterback Ed Luther for the rights to Elway. But Colts general manager Ernie Accorsi also wanted the Chargers’ No. 5 pick because he wanted to draft Marino, his second choice at quarterback behind Elway. Klein wouldn’t budge. The Chargers instead used the No. 5 pick to acquire linebacker Billy Ray Smith of Arkansas. WHAT. If you’re like me, you read that like this… blah blah blah… the Chargers picked Billy Ray Smith, a crappy back-up QB, and some draft picks… over John Elway… blah blah blah. SAY WHAT? The Chargers to BR over Elway?? COME AGAIN? I expect an entire segment on the Scott and BR show to discuss this… does Billy Ray think the Chargers made the right decision? Him over Elway as a back up to Fouts for a couple years until Elway took over? Man oh man. I’m sure there’s way more to this than I’m looking into, and one of you will blast me in the comments section about how I’m an idiot for not taking into context the full scope of the 1983 draft, but whatever. 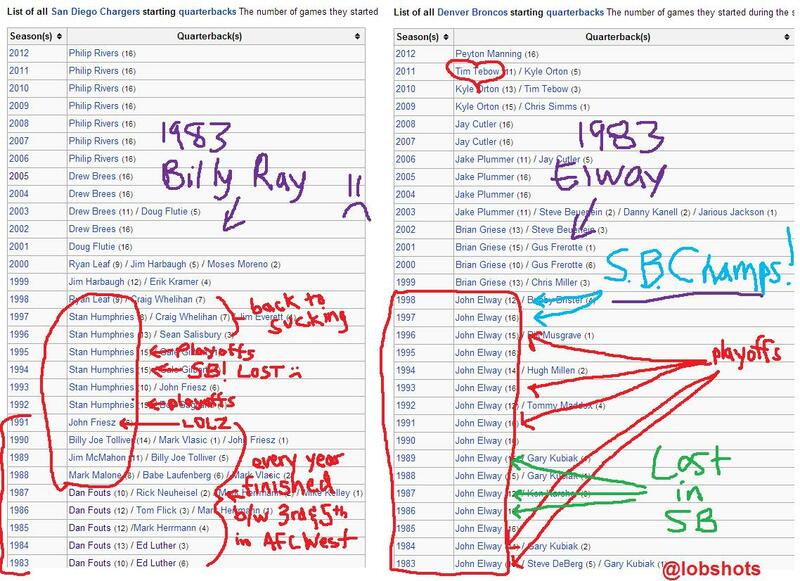 I liked Stan Humphries as much as the next guy, but c’mon… over Elway? The Chargers excelled in mediocrity at the QB position for over a decade while Elway established himself as a stud in Denver. Sickening. Don’t believe me? Look. Click to enlarge this piece of art. This entry was posted in Football, NFL and tagged 1983 draft, billy ray smith, br smith over john elway, broncos, Chargers, dan fouts, john elway, scott and br, stan humphries. Bookmark the permalink.